A sure sign of improving times in Dublin last week with the opening of world renowed French patissier Ladurée last week. The shop's building on the junction of South William Street and Wicklow Street was recently sold well above the €1.4 million guiding price with the previous tenant paying over €70 thousand in annual rent. The opening of the tea rooms is sure to attract a mass of consumers which in turn provides generated business for nearby retailers. 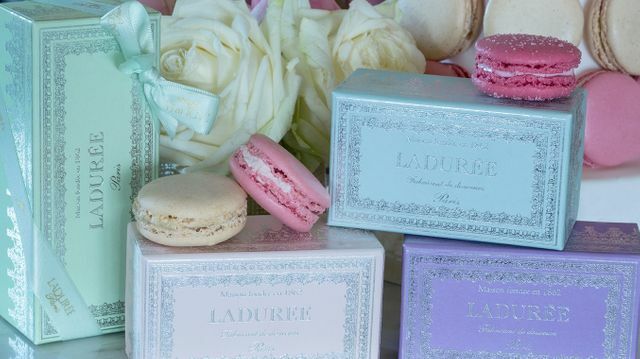 French patissier Ladurée is opening its first Irish concession shop and tea room this week at the junction of South William Street and Wicklow Street in Dublin where it expects its famous macaroons to a become something of an obsession among the sweet-toothed.